There is a new front to a townhouse on Halifax Street, Adelaide, and it reflects the passionate wish by the owner to ‘relate through contribution’. 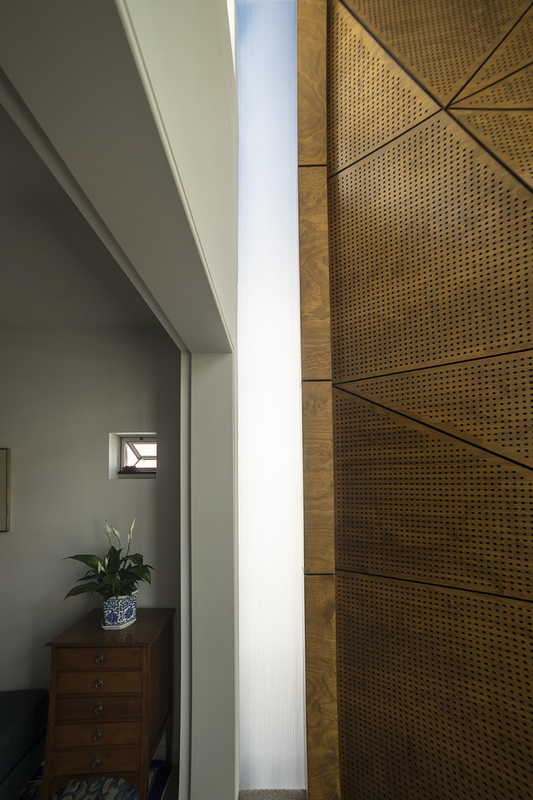 The client’s connection with EA dates back many years, as she stepped gingerly through exploring work with an architect, which ultimately resulted in a project to resolve defects (as she saw them) of the townhouse. One of three matching townhouses, its prominent location in the corner with Surflen Street fostered the idea of replacing the deteriorating and bland front balcony with a new room. 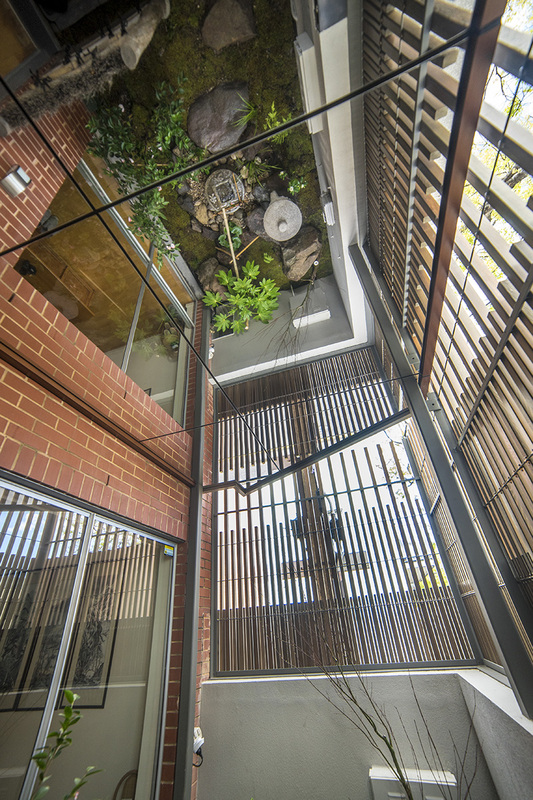 Rather than accepting a traditional built solution that would simply blend with the existing architecture of the townhouses, the collaboration between client and architect invited a strong and contrasting ‘geometric’ sculptural form that ‘hovers’ over the courtyard, and yet is united with the ground through a layered timber screen and truncated original front wall. The mixture of textures, forms, and colours is in contrast with the brick and render of the existing building. 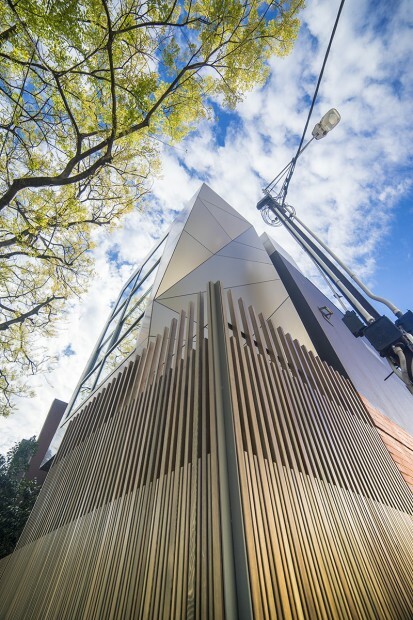 The new upper level building is shaped to form a ‘softening’ angle at the corner of the two streets, while the concave indentation skittishly turns its back on the sadly deformed Stobie. 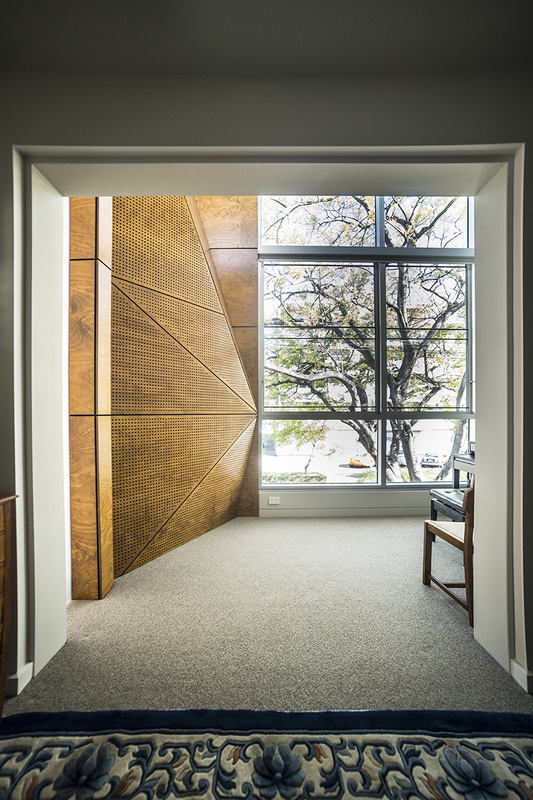 The tall nature of the façade addresses the existing street tree and provides the internal space, which is lofty, in contrast with the existing flat ceiling townhouse. Winter sun can enter over the existing roof, and the main south facing glazing brings a significant connection with the street tree canopy. A glazed slot separates new from old on the eastern elevation. The sheer glossy skin of the ‘new’ ends sharply at this slot. On the west, where new meets the adjacent townhouse, the sheer cladding seems to embrace the original angled dividing wall. 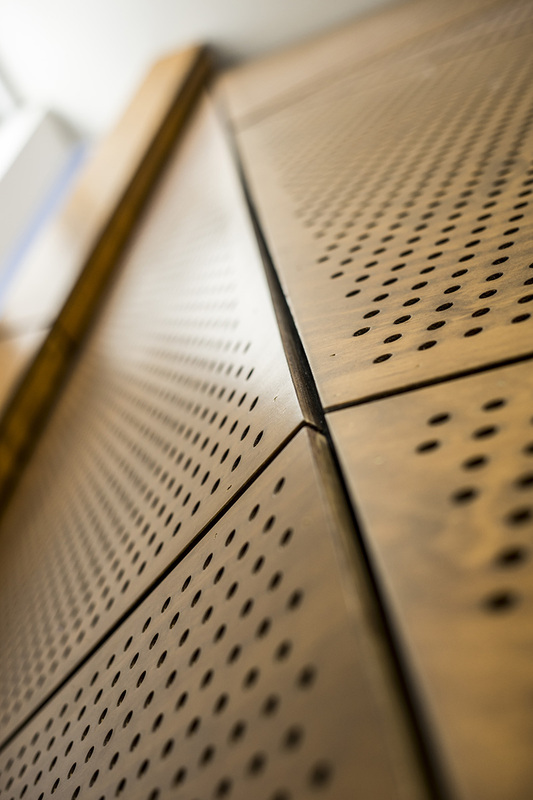 Internally, the lining is simple, clean, and the form orthogonal, except where the external indented form intrudes as its convex counterpart, which is clad in perforated Blackbutt panelling. Access to the new space is through an existing room, which frames this strong panelled form, noticeable as one enters. 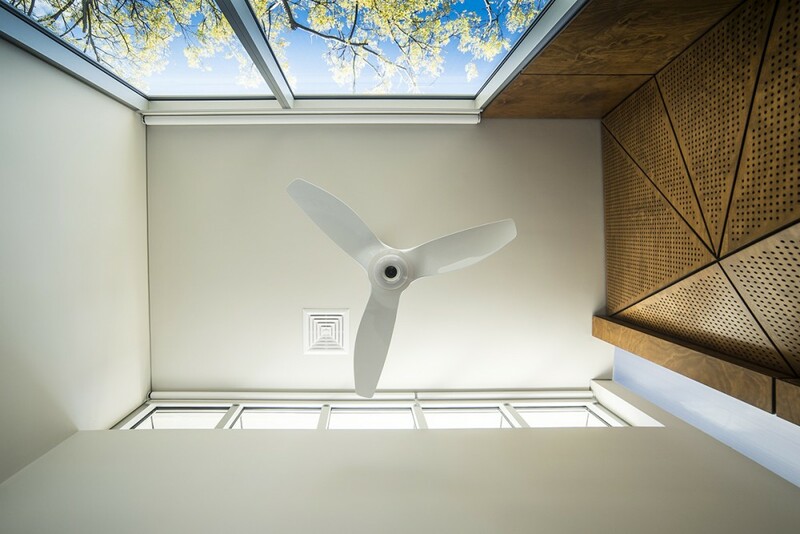 The result is a classic case of close collaboration between architect and client, continuing beyond the design phase and throughout construction by the builder, Adelaide Prestige Homes, as the client took responsibility for contract administration. Energy Architecture advised on: correctness of instruction; checking steps through variations; progress claims; extension of time claims; together with any matters of construction and design integrity. 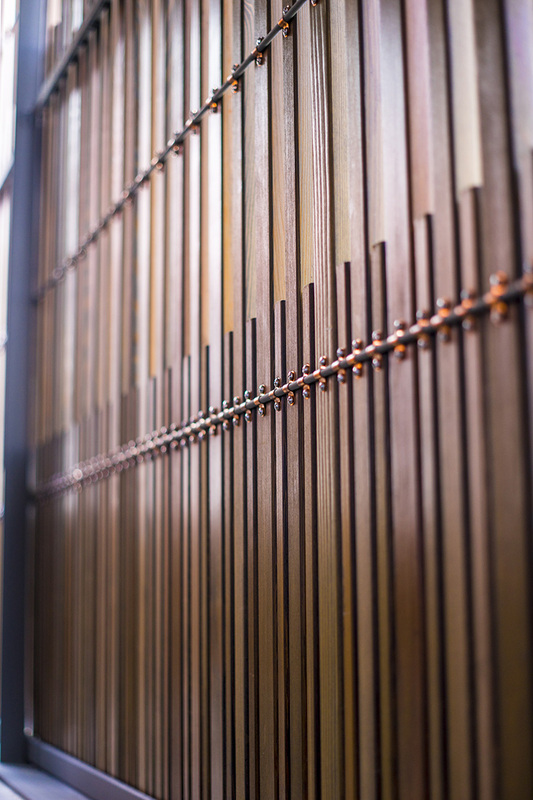 The built outcome is not only a real reflection of the owner’s generosity and wish to contribute, it is a testament to true collaboration, which has fostered a strong and lasting connection and friendship between the collaborators.